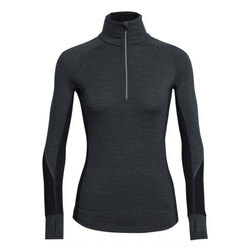 For any adventure, there is an exemplary baselayer to help you maintain the perfect temperature and stay profoundly comfortable. Some baselayers block the sun, wick moisture away from the skin and keep you cool during warm weather adventures. Others are designed to insulate, wick sweat and keep you warm in the most inclement conditions. Modern synthetic fabrics provide multitudinous benefits, such as the ability to stretch exquisitely as you move, a soft feel against the skin and odor prevention. More traditional fabrics, such as silk and wool, remain highly breathable and provide customized amounts of insulation. 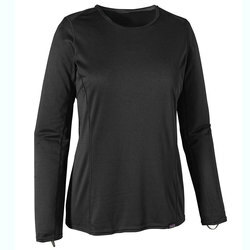 Women's baselayers are also available in a wide range of color options, including relaxed neutral tones, vibrant stripes, greens, blues, white, black, red and grays. 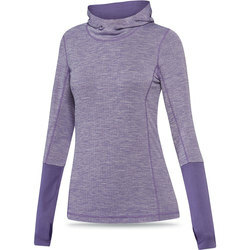 Premiere baselayer brands for women include Smart Wool, Patagonia, Roxy, Volcom, Burton Snowboards, Arcteryx, Airblaster, Dakine, Ex Officio, CWX, Icebreaker, Hot Chillys, Marmot and Orage.